There's a fun thing happening over on Twitter where people are drawing a lion a day for the month of July. I'm doing my own slant on this with one lion, one day. See what I did there? My contribution to this month's challenge - the giraffe. Yesterday I decided that my various social media platforms lacked a sense of cohesiveness and that I needed a strong image to sit as a banner across them all. I consulted my list of things that I want to draw (yes, this is a real thing and if you don't have one I recommend it highly as you'll never again sit down and lose valuable creative time thinking 'what shall I draw right now?') The finished piece also works nicely as a pattern! I spotted a sudden influx of unicorn drawings on my feed and discovered that #junicorn is a thing. As a kid I was a massive fan of anything with four legs, particularly equine in nature, and those years were well spent sketching ponies and learning how to trot like a horse (surprisingly handy). So I have no fear of the dreaded horse commission, in fact please bring it on - I'd love to work on an entire book of them! I drew this yesterday when the heavens opened and the rain came bucketing down. The weather this year has been pretty challenging so far, particularly for this SAD sufferer who needs sunshine in order to feel vaguely normal! I managed to miss Earth Day on the weekend, so here's a little thing that I drew for it. 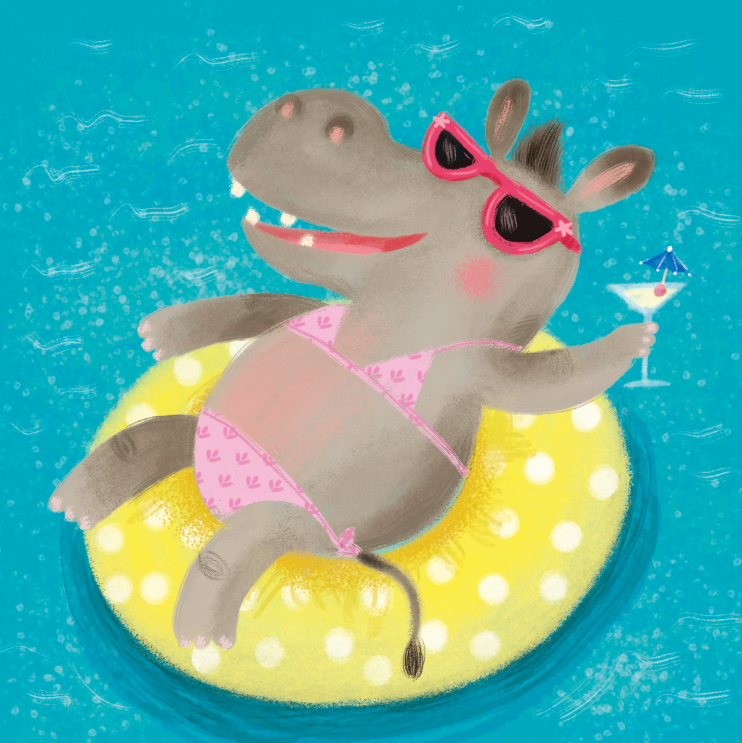 I drew this for the Booktrust's bedtime campaign.